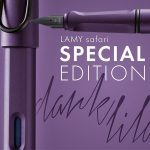 Here we are in the new color in a special edition of the now legendary collection of Star Al Lamy. Orange color copper declined in Fountain (€ 25.00), roller (€ 20,00) and ball (€ 18.00). 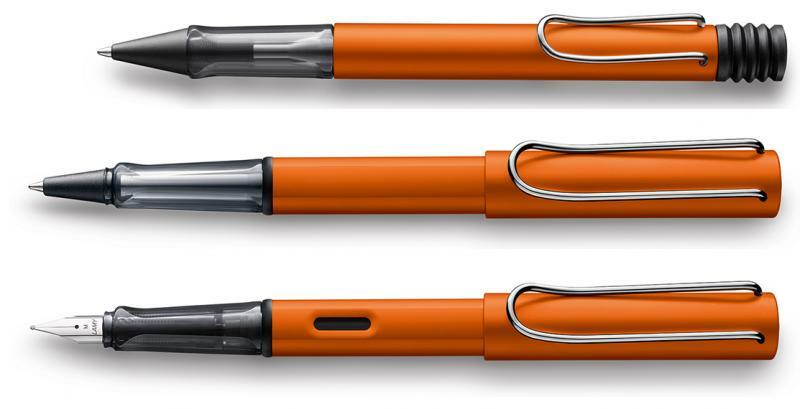 Produced for the occasion cartridges of the same color! Packages of 5 cartridges at € 2.00 each. Unfortunately, this collection is out of stock !! Collection completely out of stock!! 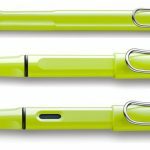 One writing instrument is the same as the next? 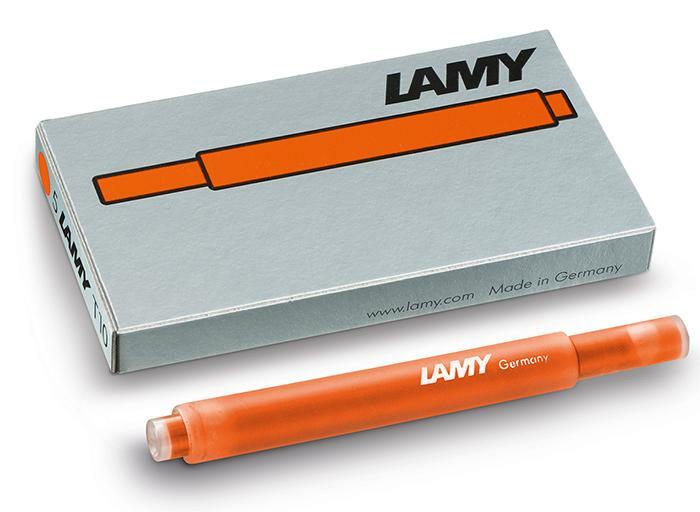 Lamy has spent the last 50 years demonstrating time and again what added value this small everyday object has to offer! 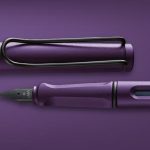 Lamy has transformed this commonplace item into a lifestyle accessory thanks to its wide range of iconic models and annual special editions: the brand represents exceptional design, perfect functionality, individuality and the pleasures of writing by hand for writing enthusiasts around the globe. 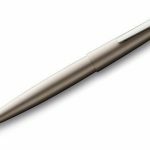 The motto in the 2016 anniversary year is “not just a pen” – and not without good reason! 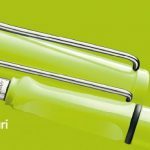 The new limited edition Lamy Safari neon lime !! 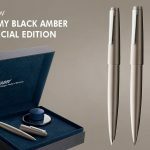 Available as fountain pen (€ 19,00), rollerball (€ 14,00) and ballpoint (€ 13,00) Also available the cartridges in the matching color !